The Season Favors The Prepared. Oscar really enjoyed his time at Athlete Ready. He says that coach Isaiah definitely helped him improve as an athlete. He was selected for the New Mexico ODP team and we can already see a difference in the way he plays. Can’t wait to go back! This place really works on form and technique which is what I like best. If your child is committed to the sport they play this is the place to go, to help them reach the next level. Hands down the best performance gym I’ve ever been to as an athlete. Great vibes, great coaches, and a great system that works ! Check them out ! My son has been training with Jared and his staff since September of last year, and his experience there has been so positive! Not only is he getting exceptional training, but everyone associated with AR is very professional and friendly. My son is always excited about going, because he knows that his training there helps with his sport, which is hockey. He is getting so much stronger, which shows on the ice. I highly recommend AR for anyone, and everyone! My son trains at Athlete Ready and loves it! It is a great environment. The trainers are very supportive, and help the athletes to do the best at their sport. Highly recommend! My son has been playing basketball since he was four and plays on a traveling team. AR has been great at keeping him healthy and getting him ready for his season. 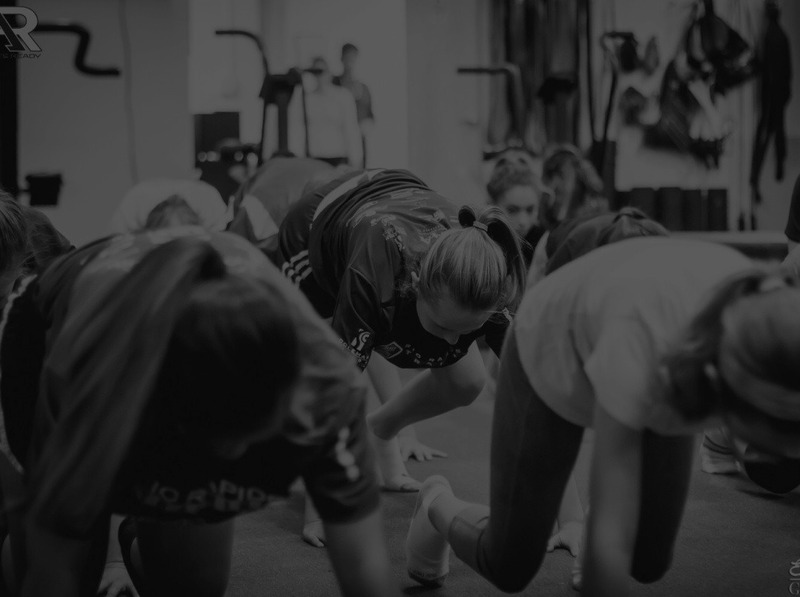 Great trainers who not only focus on speed, strength and agility but also stress how important recovery is.Small classes means your athlete gets plenty of attention and they always focus on proper form rather then how much weight you can move. The trainers are always are extremely knowledgeable and are available even after hours to answer any questions you may have. Jared even made time to attend one of my sons basketball games when he was playing in a tournament in Las Vegas Nevada. I highly recommend Athlete Ready to anyone! Jared Saavedra helped my daughter prepare for division one basketball and will continue to help her get to the next level. He’s greatly improved her agility, quickness, and flexibility. I can’t say enough about the level of professionalism and knowledge from all of the staff. The best part is the kids actually are enjoying themselves. They’re adult program is equally as amazing! So completely thankful to Athlete Ready!! Andrea LaJeunesseSky is is the limit at AR! Get ready the time has come to start calling yourself a true athlete! These coaches and this facility will get you to where you need to be! They‘re extremely knowledgeable on what they practice to ensure no injury and are always stepping up their game to make sure they practice what they preach. I’ve grown so much working with coach Jared Saavedra not just physically but in all sorts of ways! I love that I can now practice safe and effective workouts that will help me to continue to grow! Forever an AR athlete! Thank you so much! Athlete ready is next level! Very detailed athlete specific training, you will get better here. Great people and atmosphere also, everyone is a family at Athlete Ready! Made great strides in my training, and developed relationships with many good people! My fourteen year old daughter has been going to athlete ready for Volleyball and wow this has helped improve her game. Thank you for everything you all have done for her and we will continue to go to you all. Best decision we have made for Grace to reach her full potential, and staying safe and healthy as she pushes her body to its limits!! Thank you coach And coach Cam for all you put in these girls!!! I’d like to personally thank Jared for preparing my daughter to be stronger and faster for her transition to collegiate level track. Athlete Ready cares about results and success. 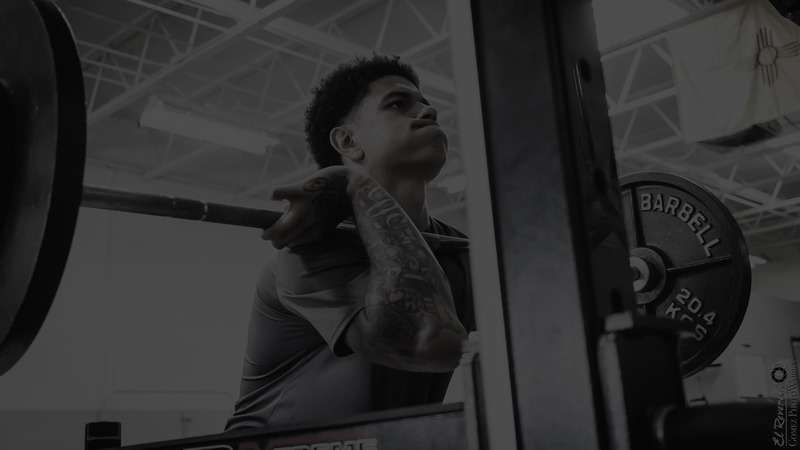 Athlete Ready truly cares about achieving your athletic goals. Jared and his team are exceptional at working with young athletes. My daughters endurance has improved immensely. Will definitely continue with AR. Thank you so much. We have been very pleased with the training our son has been receiving at Athlete Ready. Jared and his team are highly qualified and professional. This is definitely the place to go, no matter what sport you’re preparing for! Sky is is the limit at AR! Get ready the time has come to start calling yourself a true athlete! These coaches and this facility will get you to where you need to be! They’re extremely knowledgeable on what they practice to ensure no injury and are always stepping up their game to make sure they practice what they preach. I’ve grown so much working with coach Jared Saavedra not just physically but in all sorts of ways! I love that I can now practice safe and effective workouts that will help me to continue to grow! Forever an AR athlete! Thank you so much! I have attended Athlete Ready since the start of my senior year and I couldn’t have asked for a better way to prep for D1 soccer. Jared and his entire staff gave me personalized plans to learn how to lift and condition properly so that I would be ahead of the game going into college soccer, and I was. The first day in the weight room in college my teammate who also went to AR and I were the only two freshman who knew how to do every lift our strength coach gave us and we were able to do more than our teammates because of the training at AR. Any athlete looking to up their game or prep for college athletics should look into Athlete Ready. Jared and his team do an exceptional job with student athletes. Their expertise and knowledge help student athletes prepare to perform better, and also prevent injury. I have 100% confidence in what they do , they are training my daughter before she leaves to play D1 soccer. Jared has demonstrated that they are dedicated to not only helping her be prepared, but are helping her learn how to effectively train to prevent injuries. Too many places will just try stuff that they don’t really know about, and can be harmful to an athlete – not here, they know their stuff! My son and daughter did an Athlete Ready program to prepare for the state track meet. We couldn’t be more pleased with the results. The kids performed well. But, more importantly, they really enjoyed working with Jared and making new friends from other schools. We will continue to use Athlete Ready in the years to come. Thanks Jared! We really appreciate all your help! My daughter was one of the first athletes that started going to AR when it was just Jared. Love seeing the way this business has grown and the knowledge they have is awesome. Jared and his team have given my daughter the best training to take her to the next level. We are very happy to be part of AR!! Awesome gym! Kirk and Jared are extremely knowledgeable and love what they do. If you want to take your sport or fitness to the next level go to Athlete Ready! Great place! Great community and if your a student Athlete or want to get serious about your health and fitness they can definitely help! Jared and the rest of the coaching staff are always super uplifting and encouraging. Great environment and best overall gym. Learned something new every time I went. I really saw improvements in my speed and as well as over all conditioning when I started here. Would 100% recommend to any athlete trying to better themselves. Jared and his coaching staff are dedicated to their athletes! Our daughter (track sprinter/jumper) has thoroughly enjoyed training with them leading up to her season. Thanks to their programming and coaching, her strength and explosiveness was ready right away, getting the season off on the right foot! For as long as I can remember, I’ve always had either a basketball or a football in my hands. At age 5 I began playing league basketball. At age 7, I threw my first touchdown pass. That was also the year that I scored 34 running touchdowns. Unfortunately, It wasn’t until age 16 that I learned how to properly train in order to prevent injury. As a football player, locker room talk always consisted of how much weight you could bench or lift. So many athletes focus on muscle mass and not the actual muscle itself. Coach Jared taught me that there was much more important things than how much weight I could throw around. 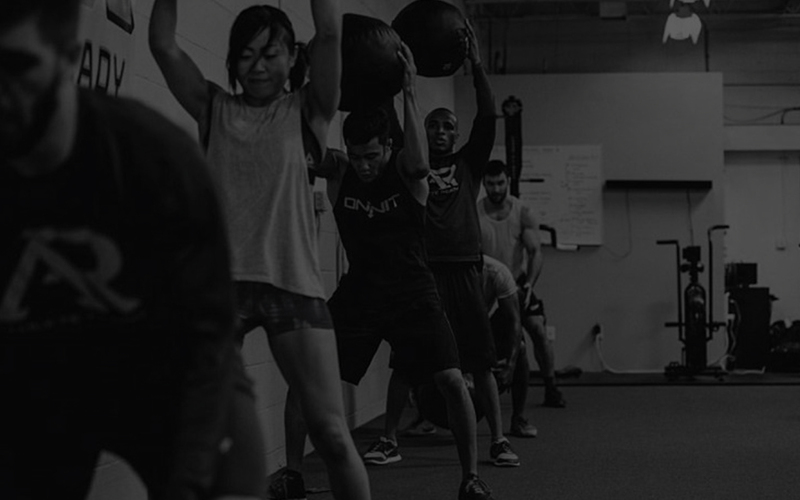 When I started at AR, I worked closely with a trainer who was concerned with how I was executing exercises. The methods used to train me, made me faster, stronger and smarter. I truly appreciate the level of dedication that was shown to me. I hope one day to be in a position where I can work with athletes and provide them with the quality care that AR showed to me. 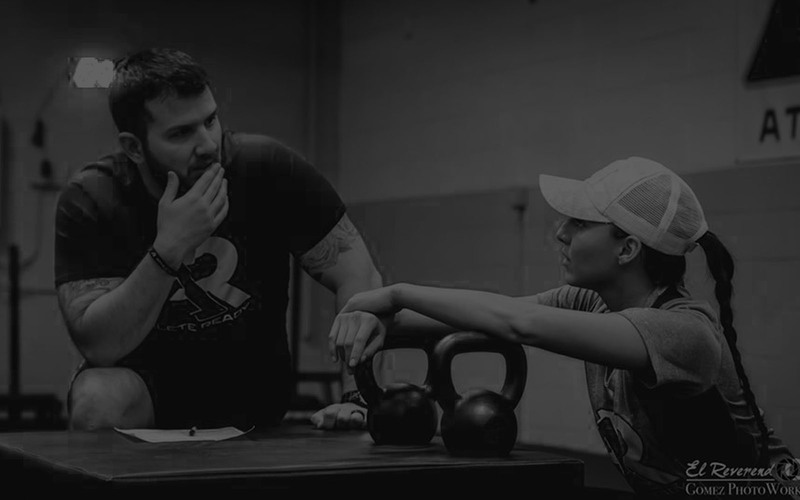 Our daughter trains with Coach Jared at AR and she loves the training, the environment, and the people who push her to do better and be better! Our daughter recently made the US National Junior Team in Taekwondo – AR helped her achieve that amazing honor. She will be traveling to the World Championships in Africa next month; we are confident that AR will not only help her train for that event but they will help her believe in herself and in her abilities … that is priceless! Thank you AR and Coach Jared for investing in our daughter! Jared worked with my daughter the year prior to her joining a D-1 soccer program. 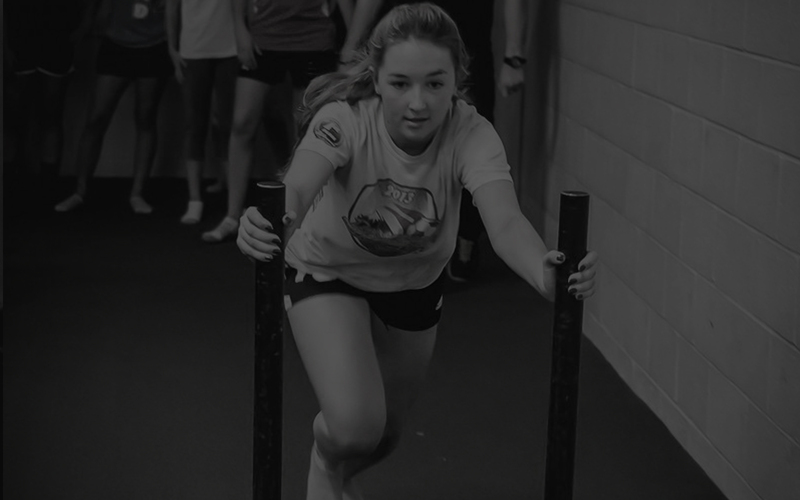 The Athlete Ready program helped her prepare for the mental dedication and physical training that would be required by her college coaches. Jared truly cares about each and every one of his athletes and always takes the time and is dedicated to making sure each one has individualized experience. My 18 year old son has been actively involved in both basketball and football since he was 5 years old. This journey has exposed us to some great coaches, as well as some questionable ones. We came to AR with one goal, to improve our sons’ performance and skill in the specific sports he was doing. When we met with Coach Jared, we instantly knew that this was what our son needed. Our only regret was that we had not sought this sooner. 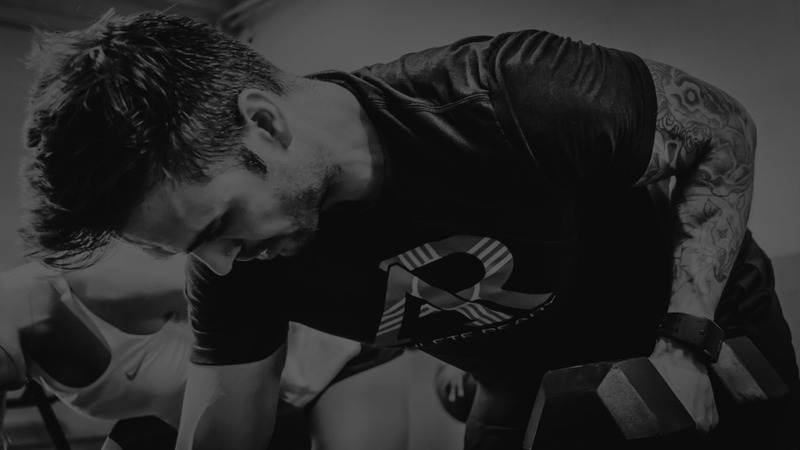 Coach Jared and the staff at AR are not only committed to improving performance/skill, but also focused on improving overall fitness, proper technique, and preventing and reducing athletic injuries during training. I was beyond impressed to learn that as my son trained, they were present to make personal assessment’s specific to my son’s strengths and weaknesses. So often athletes are asked to do the same training. 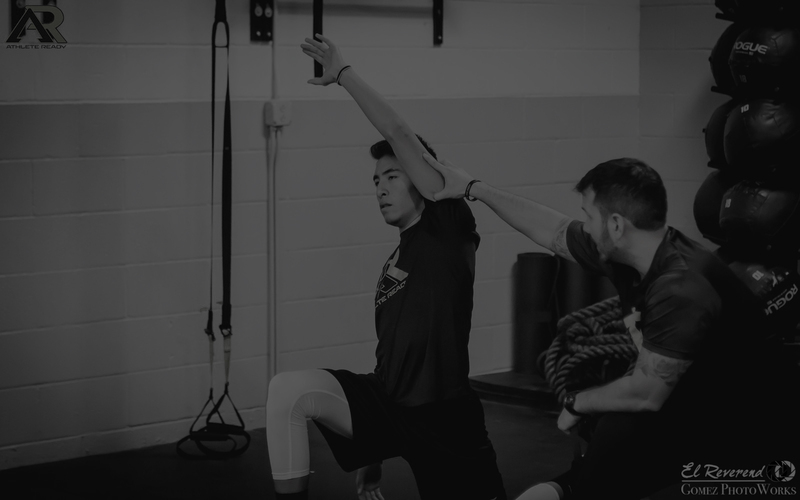 At Athlete Ready, every athlete is personally evaluated and properly given a specific training routine to follow. Because of this, my son was educated on how to execute exercises correctly. The constant encouragement to excel was not confined to a training session, as Coach Jared often contacted us after games to see how our son performed. As a parent, this type of dedication and commitment is priceless. In the professional realm, success is typically measured by a dollar amount. Coach Jared and the staff at AR have proven that real success is proven by the impression you leave! Although we entered with one goal, my son left with several goals. My son will be graduating in just a few weeks. Since meeting Coach Jared, he has decided that he wants to further his education to become a CSCS. Athleticism is in his blood, and his passion for sports and training is something that only grows deeper. Pursuing this new goal will no doubt give him the opportunity to have a future doing what he loves to do. We have Coach Jared and the staff at Athlete Ready to thank for that. Coach Jared, thank you for taking such a genuine interest in my Esco. Thank you for encouraging him, teaching him and inspiring him. You are a legend in our eyes. Athlete Ready has helped my daughter get so much stronger and more confident. It has a very good environment and is a great place for athletes to go work hard and improve. Jarred and his AR team have been great for our young daughter! Her strength, speed, and confidence on the soccer field has increased since she has been a part the AR team!! Very knowledgeable staff. A-List athletes train with AR too! Great Athletic Training for all sports.